I’ll admit it. I’m frustrated. Frustrated by the misleading and incorrect advice being given to people asking questions like, Is it really possible to make money from a blog?, Is blogging for money realistic?, yada, yada. As revealed below, with the right advice and mindset, the true possibilities are so different to this poor guy’s experience. A lot of ‘advice’ to others gives the impression the only way to monetize a blog is through advertising, such as through Adsense. Anyone following such advice tends to end up disappointed and disillusioned. Oh dear. As you’ll find out below, this is completely untrue and incorrect. And the ‘advice’ comes from someone who claims to have been blogging since 2002. So this post helps to put the record straight, and shows what’s really possible with real examples and income data. And shows how you can do it too. Get the checklist with everything you need on how to blog for money. Approaching blogging as a business. In other words, the blog comes first, with income streams – the business part – layered on afterwards. To prove it, I’ll how you 10 real-life examples of people who earn substantial incomes from blogging. Below you’ll find inspirational stories from 10 different people from all walks of life, all earning six figures plus. All of them bring in at least 5 figures every month. Some are million or multi-million dollar businesses. A couple of them even do it while travelling around (one in an RV)! One was bringing in six figures a month, within just a year of starting a new blog from fresh, with no list and no products. Another had a multi-million dollar blog within just a couple years. Some have built a business around their blog. Others have built their blog to support a related business. With the right advice and mindset, virtually anyone can do the same and start making “big money” from blogging. (You don’t even have to write the content). So… How Do You Make Money Blogging? Here’s a really quick overview of how to make money blogging – and how all “big money” bloggers do it. The one thing I don’t mention here is advertising. That may well play a part as your blog expands, such as through sponsorship arrangements, but otherwise it’s “small income” thinking. It will only distract from the main and far more lucrative income opportunity, which is building your list, and creating and selling your own products. Selling ads is attractive, because it’s passive income, but you can usually make 3-10X more money using the same “ad space” to sell your own products and services or even promote an affiliate product. 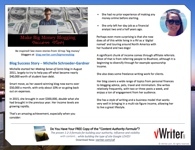 (For more in-depth information about monetizing your blog effectively, click here). It might well be, but it doesn’t have to be you who creates all the content. It could be anyone as long as the content provides genuine value to the reader, is on-topic, and is published regularly. Use your content to build an email list. This is another vital factor, and one that a lot of amateur bloggers and those earning small or negligible amounts from blogging miss. If you’re purely reliant upon people clicking on links or ads on your website itself, your revenue will be a mere fraction of what it otherwise could be. Instead, your content is largely a lead generation tool. For example, use content upgrades, and/or use retargeting ads to drive visitors back to opt-in pages. Sell products and services to the people on your email list. Effective selling requires regular communication with your audience, and building a relationship with them. The content created for your blog provides much of what you need to do this. You can then leverage that relationship to sell products and services that will be of value to them. There are three different levels to selling products and services. Each time you go up or add a new level, you’re likely to see a substantial income shift. However, don’t get me wrong. You can be very successful, even if you choose to concentrate on the first one or two of these levels (and you’ll see stories below from people doing just that). As you’ll see below, there are certainly many bloggers out there earning large incomes through affiliate referrals. However, it can take longer to achieve. If you’re looking for maximum monetization in the shortest possible time, I’d generally advise to regard affiliate income only as supplementary to what you can achieve selling your own products and services (see 2 and 3 below). This includes when you are adding a blog as a new marketing channel for an existing business. On the plus side, by purely selling as an affiliate, you don’t have the hassles that come with creating, selling and supporting your own product(s). It can some down to a simple lifestyle choice. Weave affiliate links into your blog posts, where they fit naturally. For example, if I mention the Aweber autoresponder service, I might include my affiliate link rather than a straight link to the service. Review products and services of relevance to your audience and link to them via an affiliate link. To encourage someone to purchase through your link, you might offer your own bonuses or deal that you’ve arranged with the seller. (Check the small print of the affiliate program to see what’s allowable). Display relevant ads on your blog that link to products, e.g. on Amazon, that people might be interested in. This can work well in some niches as additional income. Generally, links within content will have much higher click-through rates than say banner ads. Offer a free email course. Within the course material, recommend appropriate products or services via your affiliate link. Offer a free lead magnet or report for people signing up to your list. Again, you can recommend relevant resources. Just be sure to follow FTC guidelines on affiliate links so the nature of the links and your relationship with the seller is clear. Selling Your Own Products and Services. Selling your own product(s) gives you a lot of leverage and power for monetizing your blog. Of course, if you are an existing, established business, this is one reason why blogging can be such an effective marketing channel for you. You can make more money per sale. You choose what you sell and the price point you sell it at. You gain authority and credibility, which can attract profitable partnerships. For example, you can seek out joint venture partners to help promote your product. If you decide to run an affiliate program, you attract others who help sell your product. You control the selling process. For example, you might upsell a customer to a higher-priced product or option. You know the customer. Someone who’s bought from you once is far more likely to buy from you again. You can develop your own customer list to sell to repeatedly. You don’t get the benefit of this if solely affiliate marketing. You can scale up through advertising. Plus of course, the more products you introduce, the more potential profits you can make from your blog and the list you develop through it. Want to step up another level? Selling Your Own Products and Services with Recurring, Repeat Billing. With a repeat billing product or service, you’re no longer reliant upon each individual sale. Instead, once a customer signs up, they continue paying until they choose to stop. What you can sell ranges from consultancy to digital services to membership sites and so on. As long as you gain more customers than you lose, your income will increase accordingly. Rather than starting at zero again next month, and being wholly reliant on making new sales, you know roughly what your income level is going to be. You’ll know roughly how many new customers you’re likely to gain, how many you’re likely to lose, and can plan accordingly. Repeat billing is the foundation of multi-million, if not multi-billion, dollar businesses. For example, it’s why the SaaS (software as a service) industry is currently worth tens of billions of dollars, and attracts so much investment. But it’s not just software. It can information, such as premium content within a gated community. It can be a non-software service (accountancy, marketing, web maintenance). It can be consumables (e.g. Graze snack boxes, razors, even ice cream!). 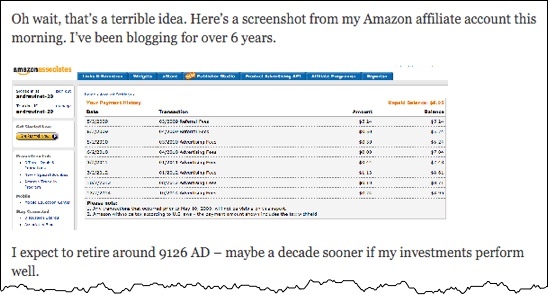 Amazon – many products now sold on a subscription basis; subscription service for Premium, Audible, etc. ; the Kindle product line is sold at a loss because it captures a market and encourages repeat purchase. Google – apps for business (SaaS); Adwords customers who continue paying for ads. Apple – Apple Music memberships, subscriptions to newspapers, magazines, and online subscriptions to various services like Netflix and Spotify (Apple takes a 30% cut from in-app subscriptions). Energy companies – supplies of water, natural gas, electricity. Telephony including mobile phone providers and ISPs. And of course, many, many others. What follows are stories from 10 highly successful, “big money” bloggers. They all bring in upwards of $10,000 per month – over six figures a year – and some many multiples of that. In fact, some are million or multi-million dollar businesses. All have blogging at their heart. You’ll find a wide range of backgrounds too. They come from different countries, serve different markets, and have different business models. Some are male, some female. People who began by blogging, and developed their blog into a profitable business. In other words, they found effective ways to monetize the content and build a profitable business around it. People with an existing business, who added a blog as an additional, profitable, and often core marketing strategy. Note also this is far from an exhaustive list. There are countless other big money bloggers out there who would have been easy contenders. 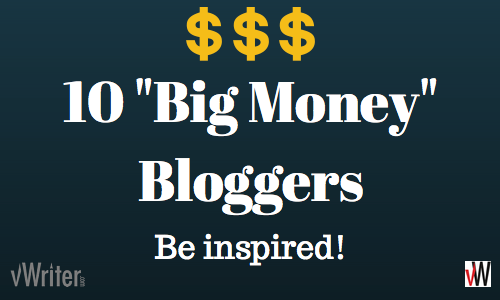 So, in no particular order, here are 10 top, super-successful “big money bloggers” and their inspirational stories. Based in Australia, Yaro is a blogger who lives a Tim Ferriss-style Four Hour Workweek-type lifestyle while bringing in a multi-six figure income. This level of success didn’t happen overnight, and his own ‘entrepreneur’s journey’ is an interesting one. In fact, he’s been making money online since the early 2000s, and his Entrepreneurs-Journey.com site began back in 2005. 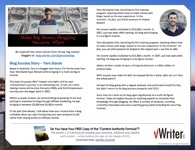 Within a couple of years, by concentrating on growing his list and starting to monetize his blog through affiliate marketing, he was bringing in between $3,000 and $5,000 a month. I talked above about how your income from a blog multiplies when you start introducing your own products to sell, rather than relying purely on affiliate income. His income rapidly multiplied to $15,000 a month. In 2007, just two years after starting, his blog was bringing in a six figure income. Within another couple of years, he’d generated over a million dollars in product sales. With success now under his belt, he enjoyed life for a while. After all, isn’t that the whole point?! He kept his blog going with a regular podcast, and continued to build his lists, but didn’t return to his blog business properly until 2013. 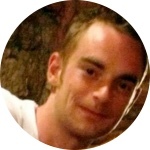 Since then he’s built up his blog again significantly to a multi-six figure income. Today he largely focuses on teaching experts to monetize their knowledge through blogging. He offers a number of products, including a monthly interviews club and a coaching group (both providing a recurring income). John Lee Dumas’ EOFire ‘Entrepreneur on Fire’ blog is aimed at business owners and entrepreneurs, and has a daily podcast (365 days a year) as its main focus. There’s also a regularly published audio blog with its own regularly published content. Starting in September 2012, there have been over 1200 episodes consisting of interviews with inspiring entrepreneurs from around the world, including people like Tim Ferriss, Brian Tracy and Seth Godin. It quickly became a massive hit. The podcast was awarded Best of iTunes, and the site as a whole is well into six figures every month, often multiple six figures. For example, in February 2016, they did close to $600,000, thanks to a very successful Kickstarter campaign. It’s an astonishing rise. A few years previously he was serving in Iraq, spending over seven years in the Army. His inspiration for the podcast came from his enjoyment of listening to podcasts himself, and realizing none of the great podcasts he was listening to was offering daily content. He saw the gap, pounced, and literally made it happen. The first 365 days brought in $70,000 most of which was reinvested in the business. It then grew rapidly, with the last four months of 2013 earning over $300,000. 2014 saw the site net over $2 million. In 2015, this grew to nearly $3 million. In other words, within just a couple years, the site was a multi-million dollar business, and continues to go from strength to strength! Income for the business comes through a mixture of selling their own products and services, and affiliate income. Podcasters’ Paradise, a recurring billing product that helps people create, grow and monetize their podcast, providing a significant chunk of income. Sponsorship income from the podcast itself – this forms the site’s largest income stream. Affiliate income comes from a variety of products and services of interest to their community, such as hosting and marketing information and products. Lindsay and Bjork’s Pinch of Yum blog started with an experiment back in 2011. They wanted to see if they could create an income from a blog about food. Their first monthly income in August of that year was just $21.97, presumably proving it was at least possible. By December, it had grown to $277.19, mainly via ad income from the Foodie Blogroll, and affiliate income, such as for related products on Amazon. The following August (2012), their income had risen to over $4,000 a month. Again, this was through experimenting with different types of affiliate and ad income, including presumably some recurring affiliate commissions. A lot more content on the blog meant a lot more traffic (including more use of social such as Pinterest), and consequently, higher income levels. In early 2013, they launched Food Blogger Pro, a membership site for $25/month (at the time, possibly increased since) teaching others how to start, grow and monetize their own food blogs, based on their own hard-won experience. Of course, this was a very smart move, as it introduced a recurring income stream into their business, beyond that of just recurring affiliate income (which is often less lucrative, but can never-the-less build over time through continued referrals). They also very cleverly only open this membership up periodically, and the rest of the time build a waiting list of those wanting to join. This both helps keep members in the program (they know they won’t be able to rejoin easily) and ensures an effective marketing campaign when they open it up for a limited time only. However, as a separate website, the income that Food Blogger Pro has generated is not included in their income reports for Pinch of Yum (and of course they have every right to keep those numbers private!). Even without the inclusion of Food Blogger Pro income, the growth of Pinch of Yum continued apace, rising to over $16,000 by the end of 2013, through sponsored content, affiliate commissions and advertising. Remember, just two years earlier, they earned under $300! By the end of 2014, it was around the $20,000 mark, with a few $30,000+ months earlier in the year. By the end of 2015, they were approaching income of $100,000 a month. Effectively, they’re looking at a million dollar blog for 2016, no small achievement. Note the figures above reflect gross income levels. As income levels rise, so do expenses, such as building a team to help out with their sites. A lot of continuous hard work, including working “through burn out”. Optimizing and continually improving as they go. Based in Delhi, India, Harsh Agrawal started his ShoutMeLoud blog in 2008 with zero cash and a helpful friend with a credit card. Within three or four months, he was bringing in an income he could live on and working on his blog full time. Since then he’s built up a solid community of fellow enthusiastic bloggers he refers to as Shouters. He blogs on numerous topics within the blogging niche, including making money online, social media, SEO, and so on. While he creates some posts himself, he’s mastered the art of user-created content, with nearly 700 bloggers so far contributing guest blogs. He also has expanded, built a team, and created other popular blogs such as CallingAllGeeks. In terms of revenue, a couple years ago, he was making more than $50,000 a year. He’s now bringing in over $20,000 a month. Unlike the other bloggers on this list, the income is almost exclusively from affiliate sales (some of which will be recurring) and from selling ad space on his blog. A small proportion of his income also comes from a sub-$10 ebook on affiliate marketing, which probably brings in additional revenue through two-tier affiliate programs. I was privileged to help Ryan with one of his first software projects in the early 2000s, and in later years have also spent time with him and his team in their offices in Texas. I know he wouldn’t define himself as one. While it’s part of his company’s strategy now, it’s not how he came to prominence. As his business has scaled, he does little actual blogging himself, personally. He’s primarily a “digital marketer” and (multiple) business owner, who uses blogging, and content in general, as a key marketing strategy. In fact, as a reflection of just how important content is to the success of his DigitalMarketer business, they held a brand new Content and Commerce event in September 2016. …so much of our business is built around the combination of content and traditional eCommerce. His team operate in a number of different niches. Each time a blog, and the content generated through it, is central to the whole operation for attracting traffic, and converting their visitors into leads and sales. In terms of business size, they do somewhere in the region of tens of millions of dollars a year. Today, marketing is about optimizing for the relationship. It’s about making deposits into what Ryan calls “the relational equity account” before you start making withdrawals… In other words, give your prospects valuable, usable content they actually want BEFORE you ask them for money. 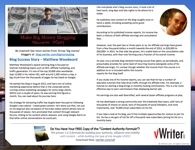 Matthew Woodward’s award-winning blog is focused on internet marketing topics such as SEO, affiliate marketing, and traffic generation. It’s one of the top 20,000 sites worldwide (top 12,000 in his native UK), with around 1,500 visitors a day, a big chunk from the thousands of pages he has listed on Google. He started the blog in August 2012, and had a ton of online marketing experience before that in the corporate world, running online marketing campaigns for some large clients. Within just a couple of years, he was earning five figures a month. You can read about his journey here. His strategy for attracting traffic has largely been focused on following Google’s own advice – create great content. He’s done just that, not just on his blog but also via dozens of YouTube videos (which attract tens of thousands of views). He’s promoted that content through relevant forums, linking to his content where relevant, and using Google Alerts to find other online conversations he could join. Like everybody else on this list, it took a lot of hard work, long days and late nights to be where he is today. He publishes new content on the blog roughly once or twice a week, including accepting some guest contributions. According to his published income reports, his income has been a mixture of both affiliate earnings and consultation fees. However, over the past two or three years or so, his affiliate earnings have grown from a few thousand dollars a month towards the end of 2012, to $20,000 to $30,000+ in 2015. As that side has grown, he’s scaled back on the consultation side of his business, with that now forming only a fraction of his overall income. He also runs a private blog network training course that opens up periodically, and presumably provides for some level of recurring income (alongside some of his affiliate earnings). It’s unclear though whether the income from this course is in addition to or is included within the income reports for the blog itself. 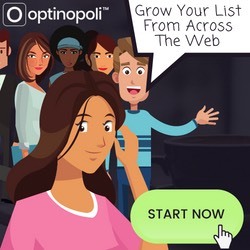 If you study one of his income reports, you can see that he has a number of specialist tutorials that help drive traffic through his affiliate links. For example, a tutorial on starting a blog brings in monthly hosting commissions. This is a far more effective way to earn commissions than displaying banner ads. His earnings are also well diversified, with several dozen affiliate programs at play. He has developed a strong community over the (relatively few) years, with tens of thousands of shares on social, tens of thousands of social followers, and most importantly, over 70,000 email subscribers on his list. (Related post: find out how to build your followers on Twitter). If you take a look at his blog, you’ll find multiple opportunities for visitors to join his list. He has a net gain of not far off a thousand new subscribers joining his list on a monthly basis. Michelle started her Making Sense of Cents blog in August 2011, largely to try to help pay off what became nearly $40,000 worth of student loan debt. Smart move, as her award-winning blog now earns over $50,000 a month, with only about 10% or so going back out on expenses. In 2015, she brought in over $300,000, double what she had brought in the previous year. Her income levels are growing rapidly. She had no prior experience of making any money online before starting. She only left her day job as a financial analyst two and a half years ago. Perhaps even more surprising is that she now does all of this while living in a RV as a ‘digital nomad’ and touring around North America with her husband and two dogs! A significant chunk of income comes through affiliate referrals. Most of that is from referring people to Bluehost, although it is beginning to diversify through for example sponsorship income. She also does some freelance writing work for clients. 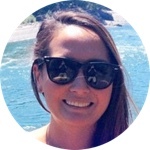 Her blog covers a wide range of topics from personal finances to blogging advice, pets, travel and minimalism. 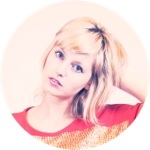 She writes relatively frequently, with two or three posts a week, and enjoys a ton of engagement from her audience. She has a style of writing and a business model that works very well in bringing in a multi-six figure income, allowing her to live a great lifestyle. 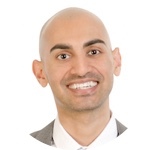 If you blog and haven’t heard of Neil Patel, you must live under a brick, rock or other hard object! 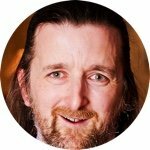 He has high value, quality, actionable content on Internet marketing, blogging and content marketing type topics seemingly everywhere. He enjoys a ton of engagement from his large audience, and still responds personally to most comments, investing half a work week a month of his time. He’s very personable, and the way he writes just connects. You end up feeling like you know him – which is what good relationship marketing (and blogging successfully) is all about. 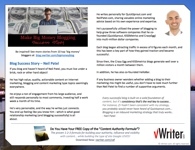 He writes personally for QuickSprout.com and NeilPatel.com, sharing valuable online marketing advice based on his own experience and expertise. 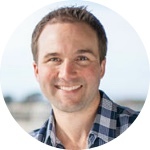 He’s purposefully utilized the power of blogging to help grow three software companies that he co-founded (QuickSprout, KISSMetrics and CrazyEgg) into multi-million dollar companies. Each blog began attracting traffic in excess of 6 figures each month, and this has been a key part of how they gained traction and became successful. Since then, the Crazy Egg and KISSmetrics blogs generate well over a million visitors a month between them. In addition, he has also co-founded HelloBar. If any business owner wonders whether adding a blog to their marketing mix might be useful, you don’t have to look much further than Neil Patel to find a number of supportive arguments. Every successful blog is built on a solid foundation of content, but it’s consistency that’s the real key to success… For instance, if I hadn’t been consistent with my strategy, you probably would never have heard of Quicksprout.com… Blogging is an inbound marketing strategy that truly works. I’ve known Michelle for around a decade. As one of her first clients of her (back then) fledgling VA business, I have followed her journey since, and have always been inspired and impressed by both her and the success she has achieved. Born in England, like Michelle above she’s a ‘digital nomad’. She’s lived and worked in six different countries, and goes wherever the mood takes her and her young family. As well as providing virtual assistant services through her team of skilled professionals, she provides training and support for other virtual assistants, many of whom aspire to (and often achieve) a similar digital nomad-type lifestyle. She was recently interviewed by Yaro Starak, featured above. She revealed how, through following Yaro’s advice back in 2010, her first three months of blogging brought in an additional $19,000. That was on top of the $19,000 a month she was making at the time via her VA business. Regular blogging is now a central part of her marketing strategy, both in helping to attract people to her site, and for successfully engaging with her audience via her email list and social channels. That relationship with her audience enables her to sell both her VA Services and her VA Academy programmes and courses. Recurring income comes both through clients using her VA services on a monthly basis, and also through her Passport Members Club for virtual assistants. Ultimately, using blogging as a key part of her marketing has helped create a $30,000+ a month, laptop-lifestyle business. Last but by no means least, let me introduce Mariah Coz. Mariah started her Femtrepreneur blog little more than a year ago, and within 12 months was bringing in $100,000 a month. That’s seriously impressive – even more so as she had no list, no social followers, and no products to sell. She’s refreshingly willing to admit her success hasn’t come easy. She simply did what it took, ploughed on through all the lows (including serious health issues, plus doubters, haters and copy cats), and ended up far exceeding her original goal of $100,000 for the year. Ditching friends who were ditching on her dreams, and making new ones who supported her (who you associate with is one of the key determinants of success and income levels). In the early stages, feeling depressed, isolated and like a failure (we’ve all been there and this is where most give up – she didn’t). Doing some client work (she has freelance writing experience) out of necessity to bring in some income before properly monetizing the blog. Creating five new courses (each new product opening up new revenue potential). 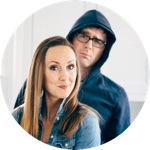 Running more than 60 webinars within 8 months – that’s about two a week, on top of everything else – to build her list and build revenue (she hadn’t done any webinars before and was understandably “so so nervous” – but did it anyway). A burst appendix that nearly killed her, along with a subsequent serious infection. Doing a launch that brought in multiple 6 figures. In brief, she works, and works hard. She does what it takes, including stepping way outside of her comfort zone. What has been on her side along the way is experience. She’s run multiple businesses previously, including growing a blog to a $100,000 a year and creating and selling online courses. Her products include Webinar Rockstar™, Launch Your Signature Course, and Your First 1K, sold through solo and joint venture webinars, and sales funnels that just sell them on auto-pilot. Hosting webinars with joint venture partners selling their products for revenue share. Everything I talk about, I learned first hand from my own experience. I did it the hard way. I did it with guts and instinct. I am not that person that takes an online marketing course and then a month later sells online marketing advice. Because that is garbage. If you’re a newbie blogger, be prepared to just persevere for at least a couple years: create content, continually improve, read (a lot) to improve your game, work hard even if you don’t have much to show for it at first. After the first couple years, things tend to get easier, fast; income tends to improve, fast. Aren’t the potential rewards worth investing just a couple years of your life for? If you’re an established business considering adding a blog to improve your marketing, realize you don’t have to create all the content yourself. 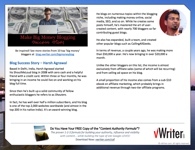 Although he writes for Quick Sprout now because he wants to and enjoys it, Neil Patel actually paid professional writers to create quality content for Quick Sprout and Crazy Egg and build their initial traffic. To make it worthwhile, you’re looking at roughly $100-$200 an article, and you’ll get higher ROI than PPC for example. You can also look at ways to use user-generated content. Focus on building your list through your blog (I’ve talked about content upgrades before), using your content to communicate with them regularly. The faster your list grows, the more leverage you have to increase your income. Speed up your blogging success through joint venture partnerships. Think about how Mariah Coz used webinars to build both her list and her income, fast. Build relationships, help out other bloggers, see where it leads you. If you don’t have an existing business, aim to create and sell your own products and/or services. Of if you do, what others can you add? Consider how you can add a product or service with recurring billing. Add multiple income streams through suitable affiliate and partnership opportunities. Finally, if you’ve enjoyed this article, please share it with others. That would be amazing, thank you! Do you have your copy of Steve Shaw's Content Authority Formula yet? It gives you the proven 1-2-3 formula for building your authority, influence and visibility, at the same time as helping your SEO. Download your copy now - click here. Well among all Neil Patel is the one whom I follow. 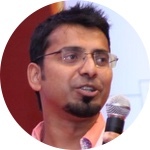 He is the genius of internet marketing, blogging and content marketing. Thanks to you who is delivering such good stuff to the bloggers like me. GREAT POST! Very detailed, you did a great job – making money out of a blog is evidence the blog is doing well. These 10 gurus have really left their foot prints on the sand of time. Keep up the good work. Appreciate your comment, Benny – thanks for dropping by and hope to see you again soon. $100 Dollars an article sounds like a lot! But I guess he more than made his money back.. I want to be a blogger , although i have not started yet. Where can I start? Brother, can you tell how long does it take to earn money from blog, 2018 and if I post every day… Well, your content is pretty awesome. Easy Content Calendar for Content Marketing: The How-To Guide, Plus Free Templates! Steve Shaw has spent over a decade helping thousands of businesses worldwide to build publicity and market themselves more effectively. 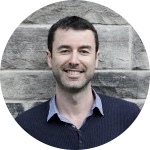 He's the founder of vWriter, a powerful content marketing platform for businesses and agencies, helping them create and distribute content across multiple high-traffic content platforms, including social media. 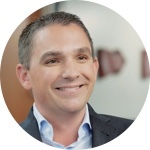 He also founded optinopoli™, providing next-generation lead capture and sales conversion technology—click here for more info. vWriter automates so much of content marketing, it's awesome. vWriter has saved us so much time, I don't know how we managed without it. Thank you for creating such a great tool! Content marketing is the foundation of your business, vWriter automates and speeds it up! vWriter is truly a time and money saver, thank you for making it available. Copyright © Takanomi Limited. All Rights Reserved. Company no. 5629683. VAT registration number GB918074321.